These blocks took less than a week to dry in the California sun. “Adobe” is the Spanish name, borrowed from the Arabic, for sun-dried earthen bricks. Clay soil is mixed with water, usually sand, and straw or other plant fibers to a dough-like consistency, sticky but not runny. The mixture is then pressed into wooden forms like boxes with no tops or bottoms. These forms can be many different sizes depending on the specific needs of the project. 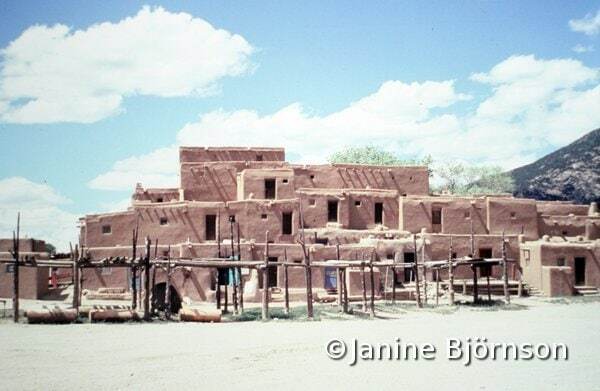 Taos pueblo in New Mexico has been inhabited for at least 1000 years, demonstrating that properly constructed and maintained adobe buildings can be extremely durable. 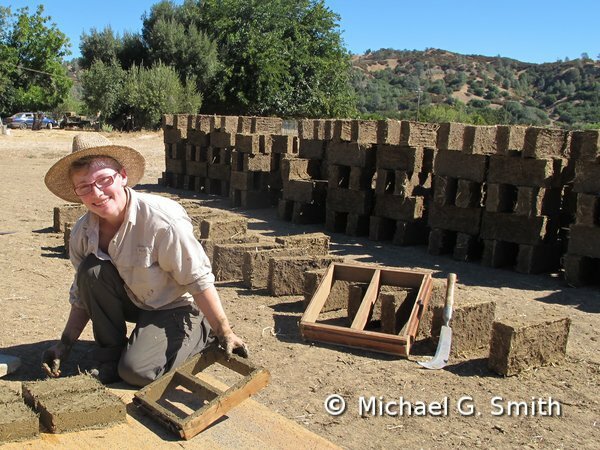 After they are dry, the blocks can be stacked into a wall with a sandy clay mortar holding them together. Adobes can also be used for making arches, domes and vaults. In desert climates where trees are scarce, these techniques allow the enclosure of a building using little or no wood. Have a look at these photos of an adobe Nubian vault under construction.